MSI has released a ton of hardwares at the Computex 2012 and on the 7th of June they showcased two new Ultra series laptops, said to be ultra slim and designed to be ultra-portable and stylish. The Ultra laptop series includes the slick and strong 11.6-inch Ultrabook MSI Slider S20 and the 14-inch Ultra laptop MSI X460DX. Said to support next-Gen Bluetooth and USB 3.0, this series of notebooks combine together the style and features of tablets with the performance of notebooks giving form to a highly portable device. This is a notebook/tablet hybrid convertible through a unique slider mechanism. 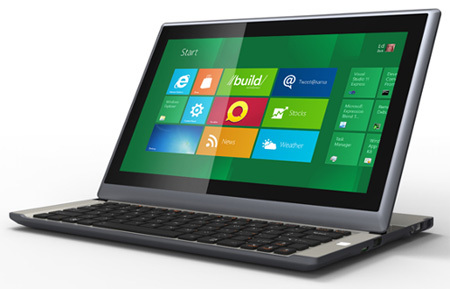 It features an 11.6-inch, 1366 x 768 multi-touch screen that slides smoothly over a full QWERTY keyboard. Set to run on Windows 8, it houses Intel's latest 3rd generation Ivy Bridge processor along-with 4GB of RAM. The Slider also includes support for Bluetooth 4.0, HDMI and USB 3.0. Said to weigh in at just 1.3 kg and less than 2cm in thickness, the Slider is claimed by MSI to be the best convertible ultrabook in the world. The sliding screen can also be placed at different angles for viewing pleasures or for the ease of operation. Word has been going around that the S20 will be available for under $1000. This ultra notebook features a 14-inch 1366 x 768 display, and is powered by Intel's Ivy Bridge Core i5 processor supported by NVIDIA GT630M graphics card and 4GB of RAM. It also includes HDMI, Bluetooth and USB 3.0 technology. Weighing at 2kg and less than 1-inch in thickness it really proves to be ultra portable. Laptopmag claims that the MSI X460DX will be priced at $849.99. Along-with its metal alloy chassis, the computer sports a stylized trackpad, chiclet keyboard, and metal accents. Other specs regarding the availability are not known yet. The new series of ultra laptops from MSI offers strong overall performance along-with good quality graphics with bright and vibrant display. The ultra laptops offer longer battery life as well as the company's Turbo Battery+ and a hotkey to shut off idle devices giving an extended battery life. 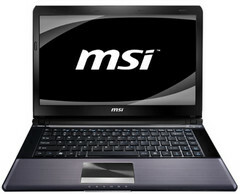 Loaded with features and promising excellent performance the MSI series of ultra laptops is sure to attract users.